Hi! We have great news for you. 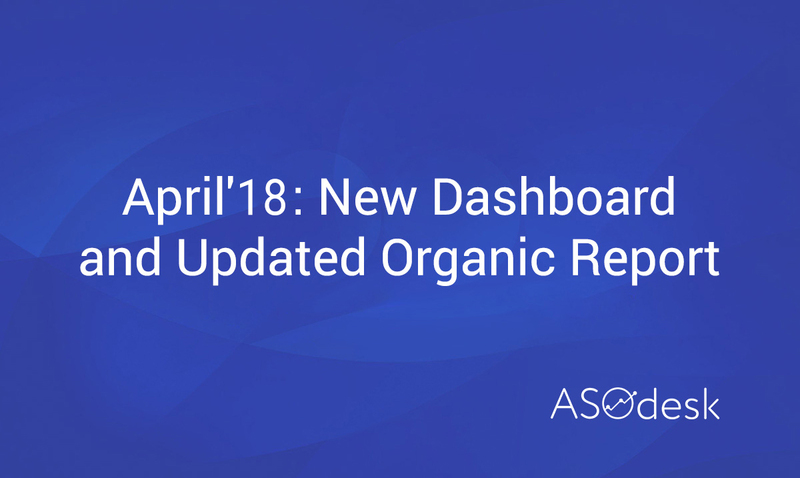 The ASOdesk team has been working on new features and is ready to release updates. Are you curious what’s new there? We optimized the system so that now it feels more fluent on tablets and works faster. Updated UI is even more clear and responsive. More information about your app is available in your dashboard. Now you can see the app rank by category and overall app position as well as the number of keywords used in your search. Your analytics will be more transparent and clear. Enjoy better navigation. A new structure with the tabs “Keyword Analytics”, “Keyword Boost”, “ASO Comparative Report”, “Organic Report”, “Reviews”, “App Profile” will help you to get to the needed category directly from the main menu. We have customized the organic report for your better app store analysis. Organic report tool can show Total Installs Share according to your keywords list. Many more is coming soon! Stay tuned!